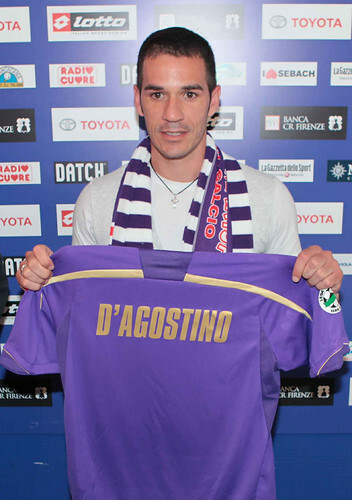 Having a rather difficult season with plenty of injuries troubling him, Fiorentina’s Gaetano D’Agostino’s future at the club looks a bit uncertain since he only managed 12 starts this season and with his co-ownership status with Udinese, there’s always a chance that he might return to Friuli. However, according to D’agostino’s agent, Paolo Rodella, stated that his client is much more keen on continuing his adventure with the Viola next season instead of returning with the Bianconeri. Rodella added that he and his client are planning to talk with Fiorentina so the would have a clear idea on what the Viola team think of D’Agostino’s future in Firenze next season. Although the former As Roma youth player is much more keen in staying with Fiorentina next season, he won’t really mind in accepting any decision that both clubs made since it would also be useless to stay in a team that doesn’t need his service. “We’re waiting to talk with Fiorentina. Once we have then we will draw some conclusions. The co-ownership deal is an open one, but Gaetano has made it very clear that he wants to remain here. He wants to live in Florence and he’s made some investments here too. He’ll come back to Florence once his playing career is over. Let’s see what the club’s intentions are,” Rodella said. Reports from Italy suggested that Fiorentina and Udinese will held a meeting soon to discuss D’Agostino’s future, and the chance for the midfielder to stay at Firenze is actually pretty strong especially if the Viola do release Ricardo Montolivo in the next summer transfer market. Without a strong financial power and also a spot in European football it would definitely be hard for Fiorentina to attack lots of quality players, so losing both Montolivo and D’Agostino in the summer would be a bad choice for them. D’Agostino himself sparked many eyes during his time with Udinese as plenty big clubs reportedly eying to buy him before Fiorentina becomes the lucky one that grab the talented midfielder with a co-ownership deal. Unfortunately, this season he didn’t live up to his expectation as just yet simply because the player has been troubled with plenty injuries that pretty much puts him more in the sideline rather than performing on the pitch.